ECS rents conduit sections on a first-come, first-served basis. Tenants are not permitted to "reserve" conduits for future use. Once a tenant has occupied a conduit with a rope, innerduct or cable, the conduit is deemed rented to that tenant. Tenants must never "commandeer" conduits that have been occupied by ropes or innerducts placed by other tenants. If a tenant suspects that another tenant is occupying conduits without an immediate need for cables, the tenant should notify the ECSC. If ECS determines that the tenant does not have an immediate need for the conduits, ECS may require the tenant to surrender the conduits to other tenants with an immediate need for such space. Tenants shall not cooccupy, share or sublet space within a conduit with other paying tenants, without ECS's prior written consent. Within 10 business days of occupying a conduit, the tenant must submit an Application for Conduit Space to the ECSC. 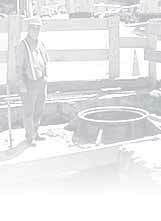 Rental charges shall commence as of the earliest date each conduit section is occupied by a rope, innerduct or cable. ECS shall bill tenants monthly for occupied conduits until such time as the tenant "surrenders" the conduit by submitting a Conduit Surrender form to the ECSC. Tenants must make reasonable efforts to remove its cables prior to surrendering a conduit. If attempts to remove the cables fail, the tenant must cut the cables with no more than 12 inches of cable exposed at each end, and indicate on the Conduit Surrender form that conduit is obstructed. Billing for surrendered conduit shall cease as of the date the ECSC receives the Conduit Surrender form. ECS shall not refund or waive rental fees for tenants that fail to submit or belatedly file Conduit Surrender forms.